Let me apologize for the lull in activity here at ThinkMuzik. The last weeks have been very dull in terms of new music. We haven't been receiving any updates we feel to be noteworthy. Rest assured, however, there is some good stuff coming so stay tuned. 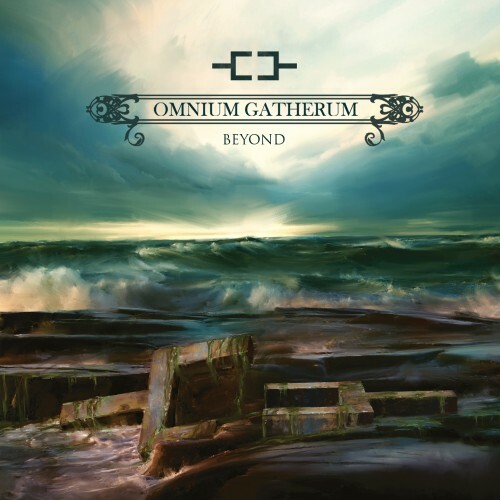 One great update we did receive today: Omnium Gatherum is now streaming their upcoming album "Beyond" in full. You can listen to the music here. "Beyond" feels much less like a follow-up to "New World Shadows" than anticipated. By all means, "New World Shadows" was a fantastic album, further exploring ideas and sounds hinted at in "The Red Shift". The result was a more polished, fuller sounding record that was, in my opinion, the best album to date in the Omnium Gatherum discography. Now that I have had a chance to listen to "Beyond", I can say that the new release is just as good as, if not better than its predecessor. This album starts out with an atmospheric guitar intro that steadily builds in intensity towards the end. This leads perfectly into the explosion of metallic riffing and growling vocals that are featured prominently in the second track. These songs manage to keep the Omnium Gatherum vibe I have come to love over the years even while ratcheting up the atmospheric keyboard and synth qualities yet another notch. This illustrates why the band has so quickly become one of my favorite metal bands. "Beyond" reaches near perfect marks from me, but for a perceived misstep or two near the end of the album. Two of the final five tracks seemed like a regression of sorts, hearkening back to the "Red Shift" era which, to be honest, included some great tunes. This late-album change of pace seems to subtly undermine the charging tempo of doom-laden keyboard melodies and memorable guitar leads present throughout most of the album. This is only a very slight gripe. Whatever tenacity was lost with those few stripped-down efforts, Omnium Gatherum make up for in the over ten-minute epic closer that is Omnium Gatherum at their very best. The vocals on this album are diverse enough to be entertaining. Some low-register spoken word sections enhance the foreboding atmosphere present within the music. Could Say is the only track to incorporate clean vocals like those found sparingly during "New World Shadows". The cleans make up the majority of the verses, while beastly growls return to prominence during chorus and bridge sections. This is one of the best songs on the album. As on "New World Shadows", Don Swano is behind the production here. Swano is in my opinion the best metal producer in Europe. In this album, it quickly becomes evident that his skill has only increased. A lot of Finnish bands create great melodic metal music and Omnium Gatherum has risen to the very top of an already rich crop, which includes masters Amorphis and Insomnium. "Beyond" is an epic album, and perhaps the best yet in Omnium Gatherum's six LPs and one EP. Check out the damage here and be sure to listen to Could Say. As always, thanks for reading and enjoy!